My whole life, I’ve always wanted to make a good, solid, Batman movie. Since I was a kid I’ve been making movies, and always wanted to make a tough, gritty, version of Batman that stays true to the source material. On the other hand, I am a comedian too. I love making people laugh and having fun. Now, as we all know, Batman has no place for comedy or fun in his life. Heck, he barely ever cracks a smile, and the most joy he gets is taking down a criminal and locking them up in Arkham. So, if I was going to stay true to the character, there was no way comedy could come out of Batman, and this posed a problem. A problem with only one solution. Namely, Gary Wayne. Welcome to “Lighten Up Batman”. Hello. 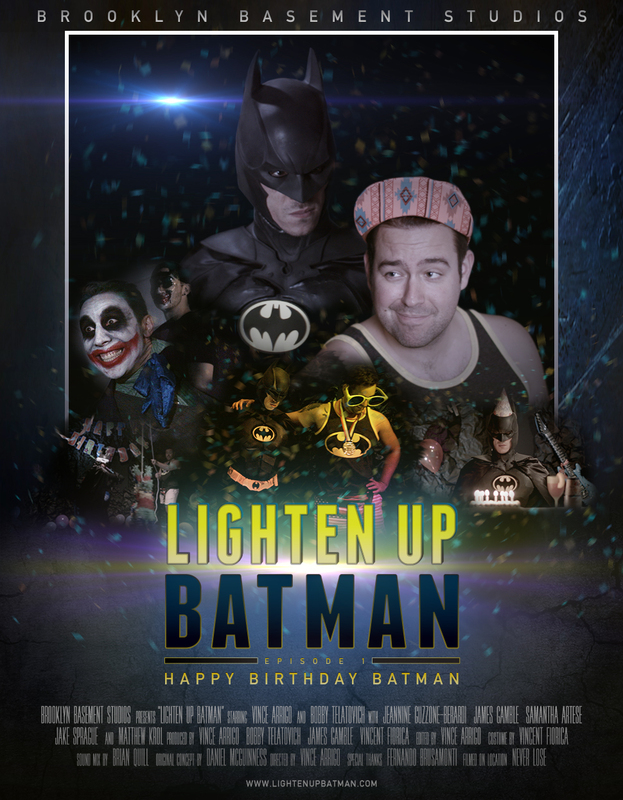 My name is Vince Arrigo, and I am the creator of “Lighten Up Batman”. LUB is the story of Batman and his lesser known, goofball, older brother, Gary Wayne. Gary is a character that always comes from a place of love and admiration for Batman, and in no uncertain terms, he's his younger bro's biggest fan. However, every time Gary gets involved with his crime-fighting life, things seem to go wrong and ends up wreaking havoc. You see, Batman and Gary are two sides of the same coin. They’ve been through the same traumatic events, but turned out rather different. They both witnessed their parents being murdered, but where Batman fell into darkness and misery, Gary rose to the light. Of course he loved his parents yet he doesn’t want to dwell on their deaths every day. He wants to remember their lives. He knows life can be short, unfair, and cruel. That said, he also knows life can be beautiful and full of wonder. The only way to live it, is to the fullest. One day his time will come as well, and he wants to be able to meet that end with a smile on his face and say, “I’ve enjoyed every minute of it”. Gary is so filled with laughter and joy for life, he feels it’s his responsibility to share it with his younger brother, Batman. 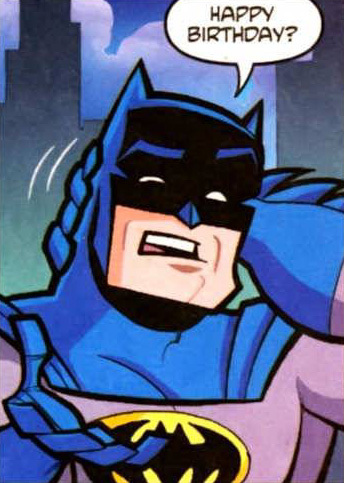 With the creation of Gary Wayne, not only was I able to inject my style of comedy -- without jeopardizing the integrity of Batman -- I had also created a fun and complex character within the pre-existing universe of Batman. There are so many stories to tell. Gary is able to tap into a side of Batman that lies far beneath the surface and brings a new level of humanity to the character.